A continental style food hall is to open in Dublin city centre next summer. 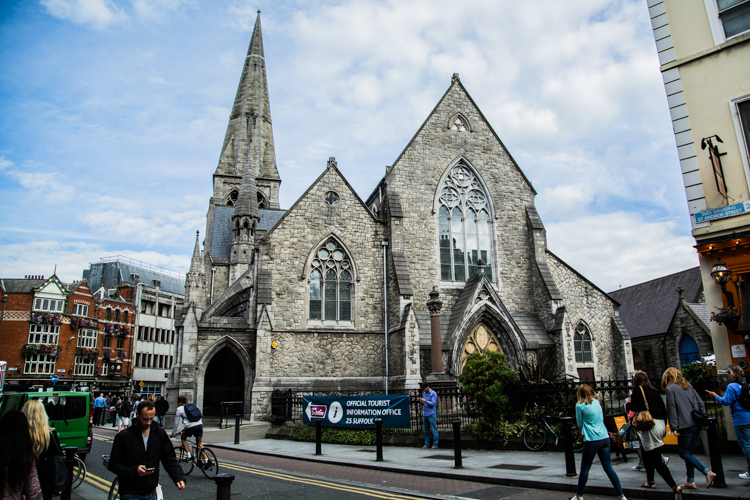 The new dining experience will consist of 15 different outlets serving up to 400 diners is set to open in St. Andrew’s Church on the corner of Suffolk Street and St Andrew’s Street. The church, which measures almost 20,000 sq. ft. and operated as a tourist office until 4 years ago, will undergo a € 6 million fit-out and renovation. Construction is set to start in January with an opening date expected in June. Well-known hospitality group Michael JF Wright Hospitality Group have signed a 25-year lease on the building. The group currently operates eight Dublin bars, restaurants and Marquette airport outlets, employing 700 people. The current plans for the hall include 10 food vendors operating from the main body of the church, and a further three dessert and patisserie outlets, two coffee kiosks and two bars. Communal seating will occupy the central aisle of the church, with additional tables for smaller groups on the first floor. The former parochial hall behind the church will be linked to the main structure by an enclosed walkway “wrapped in black zinc”, and will accommodate an additional 100 diners. Further seating will be available in an outdoor garden setting. A purpose built stage is planned to facilitate cookery demonstration with regular musical and theatre performances also planned. According to Wright, the venue is expected to operate as a cultural space as well as a dining venue. A strategic mix of high-quality vendors is seen as pivotal to the success of the project.Wright continues “Our concept is to bring the best of Irish artisan food to this location. Really high-quality Irish food and Irish ingredients, but with a global flavour. Hopefully, this will translate into a really great choice of foods – something to suit all palates, from traditional Irish dishes to Korean delicacies, to the latest in vegan offerings. The mix is central to the success of the food hall,” says Wright. “We want to add something very different to the Dublin food scene,” says McDonald, speaking to the Irish Times. The venue will be open 7 days a week from 8am to 11pm.